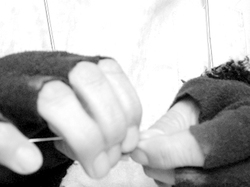 "One unique feature of Aureli's work is her penchant for hands-on techniques. Besides producing her own alloys, she experiments with colorful yellow, orange and deep red patinas, infusing a warmth that is irresistible to touch." 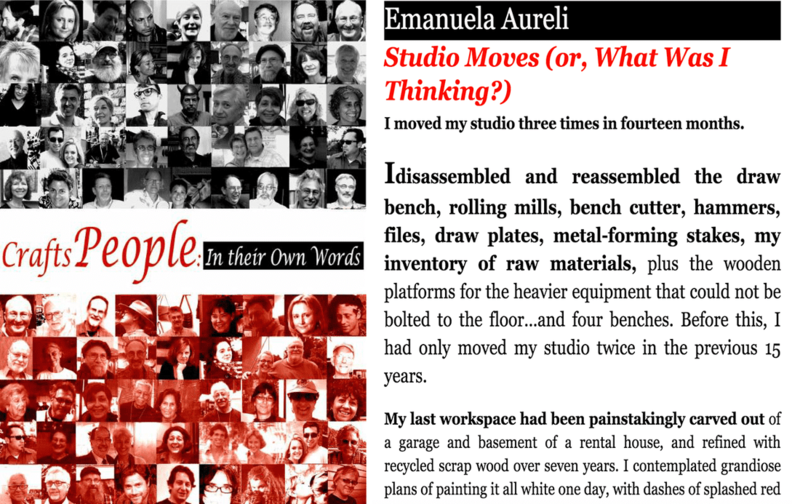 "My work is big,” says Emanuela Aureli, widening her eyes for emphasis. This ironically comes from a small, fine-boned woman with raven hair who tends to dart around her Santa Fe studio like a dragonfly, pulling out pieces of jewelry or demonstrating how she uses calipers to measure metal wire thicknesses, something her Italian grandfather taught her. Aureli’s pieces are powerful, hollow construction making them almost weightless."